Yesterday here at SYMC, I was able to attend a few pre-conference workshops before the conference officially started. One of those workshops was called “The Emotionally Healthy Youth Worker” with Mark DeVries. Instead of sharing all my notes, like I did with a Duffy Robbins track in another blog, I want to share a section of those notes that I believe will help student pastors who may be reading this. 1. Search. The first thing you can do is start searching for another student pastor position that fits your better. One thing to remember if you go this route is make sure you stay on board as the student pastor until God opens a door somewhere else. Don’t start searching and leave the church before another positions opens up. I would encourage you to spend time in prayer before making this decision. 2. Stay. Another option would be to just stay. Mark DeVries pointed something out that grabbed my attention. He said if your senior pastor wants you to do youth ministry I way you really don’t want to, than spend some time doing it his way and let your way be worked into it. Eventually, you will be at a happy balance where you’re doing youth ministry your way and also making your senior pastor, whom is your boss, happy. 3. Quit. Some of you don’t like option 1 or 2. 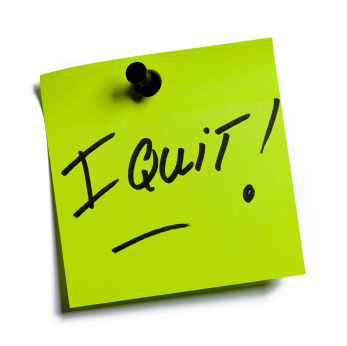 If you seriously cannot work in a church where the senior pastor may see youth ministry a little different from you, than the best thing for you and that church is for you to quit. If you do this, make sure you stay there until they find someone or have someone overseeing the youth ministry. Don’t leave them high and dry because you can’t work there. Be wise and smart with making this decision. I hope if you find yourself in a spot where you don’t see eye to eye with your senior pastor when it comes to youth ministry, this short post has helped you. I will be sharing some more of my notes and parts of my notes in the next few days as I am here at the SYMC.